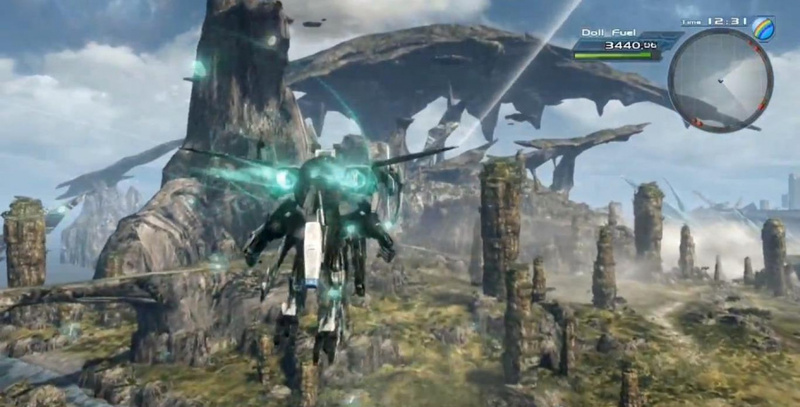 There was plenty of game footage on show in Nintendo's E3 Direct, with one eagerly awaited trailer being for Monolith Soft's X. First revealed in January, the fresh footage arrived with a vague confirmation of a 2014 release. Some themes from the first trailer have continued across, such as the use of impressive mechs that can transform into wheeled vehicles or engage in flight, while we saw more of the character traversing an impressive overworld both solo and as part of a team. A potential insight into the storyline showed an urban environment at the start with a countdown on a large tower, but aside from that footage mostly revolved around exploration and action, including an air-based battle. Check it out for yourself below and let us know what you think. This is the Wii U game that I'm most excited for. Most of what we saw today was pretty lackluster, but at least this will keep me a bit hyped up for a while. Not sure if they can match Xenoblade, but I have faith that it'll be awesome nonetheless. As a big Xenogears fan (well the first disc anyway, 2nd disc not so much) I'm really looking forward to this one. Hopefully Nintendo can get Xenoblade Chronicles on the WiiU shop b/c I'm still not buying it from Gamestop, if I could even find it now. 2nd best game of ND, after Bayonetta 2. Probably my favorite game of the direct. The music and the art have me ready to play this. I'm gussing its going to have a multiplayer mode as well. Looking forward to this one. Hope Monolith goes all out on it. So is this a Xenoblade Chronicles sequel? Fab! This is going to be a system-seller for sure. I would love to see a re-tuned Xenoblade for Wii U as well! @rjejr: You wouldn't be able to find Xenoblade at a Gamestop anyway. If you want it you have to get it online from a reseller on a site like Ebay or Amazon. This is going to be a day 1 purchase for me. Looks absolutely amazing!! Easily the best-looking game of all time. I can't wait to waste my life on this game. This game looks amazing. It definitely impressed me the most today. This looks AMAZING! Totally buying a Wii U just for this!!! Oh yes, this looks amazing. Easily the best thing shown in the Direct. never played xenoblade but i'm looking forward to playing this one. most gorgeous thing I've ever seen. I wish this was coming out this year but i guess you can't rush a masterpiece. If you didn't know its a WiiU game you wouldn't know what platform this was headed too from graphics alone. Stunning. Weird that there's still no name. I was kind of expecting a full reveal sort of thing. This music...scream epicness. Just wow. Hahaha, just like me! I didn't even consider getting one until the first X trailer! the music is amazing.what is the name of the song? I wish this came out for 3Ds too. :/ Guess I have to get a Wii U soon. Now we're talking! This is the wii u game I'm looking forward to the most. But I wonder what's happening to the new Zelda (not wind waker hd). There wasn't any info about it, was it? Was hoping to see at least a teaser from it. Magnificent. The game I bought my Wii U for. Very very nice Game Video!!! Funny story; I was looking at my email when this started and didn't look back until right around 0:37. Before it snapped to the robot, I swear I thought it was an F-zero trailer. OMG I WANT THIS GAME WORSE THAN SMASH LOL THIS STOLE THE SHOW FOR ME ! Like robotech and final fantasy had a baby or something. Stoked! Lots of great announcements today and this one sits around the top. Can't wait! Awesome!!! Xenoblade is a great game and the highlight of the Wii in my opinion, and I will be getting a Wii U because of this game. Needless to say, I'm not talking to him about videogames. Ever. Again. So much for Wii U having "graphics so weak that they're irrelevant". 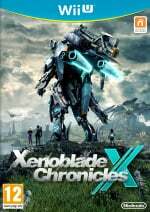 Monolith Soft has taken the reigns of Squaresoft, in my opinion. They're destined for GREAT THINGS, and Nintendo is incredibly fortunate to have them under their wing. Nintendo and Monolith need to get this game properly finished and released ASAP, it could just be one of those killer titles that make Sony/MS owners want to purchase a WiiU. Goosebumps every time I watch that trailer. Xenoblade is one of my all-time favourite games, and this is just what I want for the Wii U. Now THIS is what I needed to see! I am buying this day one! Just received the soundtrack of Xenoblade Chronicles through the mail and I'm so excited to hear it! I can't wait to play this game although I have to say I'm dreading having to explore the vast skies... exploring the grounds, while extremely fun, took enough time. I don't know who they think they're kidding, though, with the secrecy behind it. It's almost certainly a sequel to Xenoblade Chronicles. As far as being able to find Xenoblade at Gamestop, I have done it recently. You have to use the [email protected] feature to see where it is and then put it on hold to have any chance but it still is the cheapest option even if you have to drive a bit. Looking forward to it. I'm curious if they can maintain the same scale while having to develop on an HD system. The scale looks even bigger from the gameplay shown.